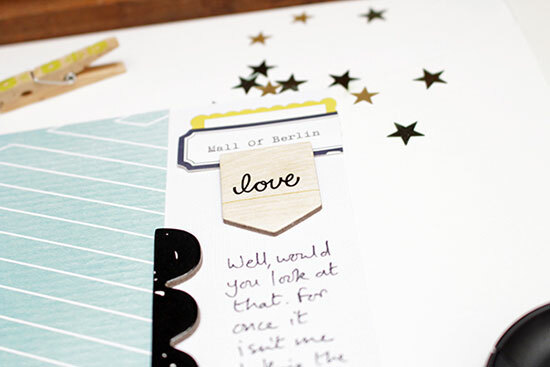 over at Gossamer Blue is a starting point, a nudge in the direction of your scissors. Or, possibly, your paper trimmer. Or maybe even a couple of sticky dots. 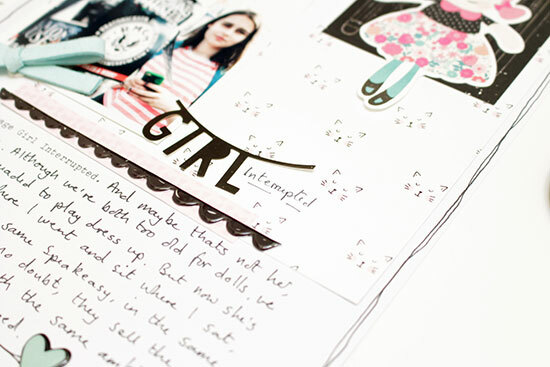 Let's scrapbook. 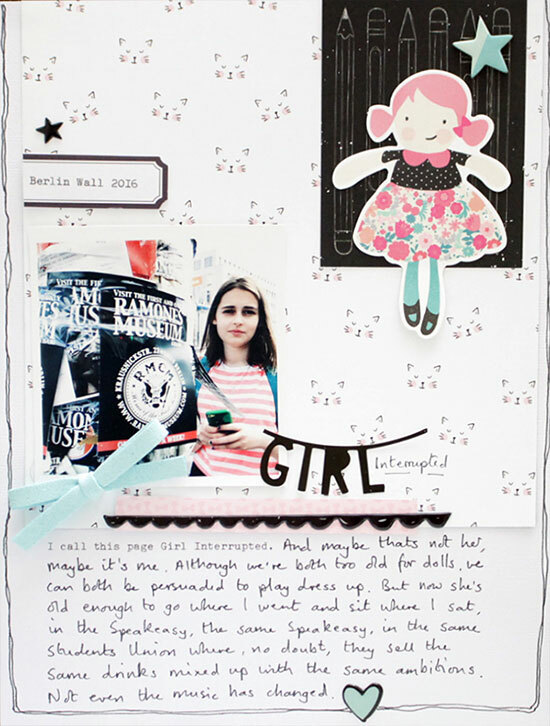 Everything on these pages was scrapped with pieces from the September kits at Gossamer Blue: stickers, chipboard and papers by Crate Paper, Cute Girl; white phrase sticker and bow by Pink Paislee; label stickers and little stars from the Life Pages exclusive kit. I do love photos of photographers in action! Are they hooked on Pokemon Go then? Absolutely BRILLIANT!!! LOOOVE every little bit of these:) You are an inspiration, woman!!! Two wonderful and hip pages Sian! Your scrap always seems to come so easily to you! Your pages have such an airy, delightful style - I love looking at them and discovering all the little details you include! Two more memorable stories, and creative layouts! Your mojo always seems to be moving right along. Must seem odd her walking in your steps. The same actual student union. I know my college looks very different these days. Oh I do need a nudge now & then to use the stash. I like your girly girl die cut but oh if you use her you don't have her to use ... see where I am going with this (lol). As always your layouts a lovely, full of life & movement. Love that idea! And I also love the idea of a partially typed and then handwritten journal spot! Rock star! These pages are beautiful. The kit must be amazing. I have the ends of a kit sitting on my desk and am deciding if I try to get one more page out of it or move on. Beautiful pages. Looks like Berlin was a great success. I think I need to look at my photos differently. I really like how you take a single photo and make it into something so different on your page. You always do such a lovely job with the lovely GB supplies, and you never forget to write something down on your pages too!! Love that.